It’s a routine manoeuvre, but one that requires accurate flying and a thorough understanding of low-speed aircraft dynamics, contributor, Thomas P. Turner, writes. 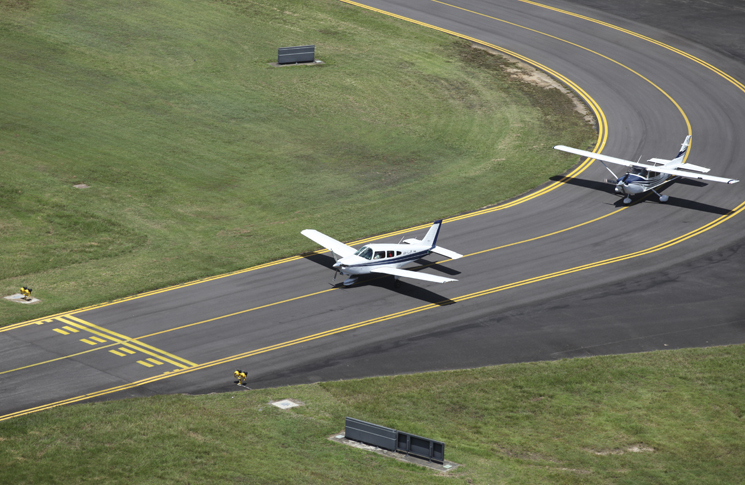 There are many reasons why a pilot may execute a go-around. A hard landing, a potential collision, a bounced landing, difficulty with directional control on the runway, touching down with insufficient landing distance remaining, a directive from an air traffic control tower, or just not ‘feeling right’ about how a landing is progressing. Any of these situations, and many more, justify and often require, a pilot’s decision to turn a landing into a departure before or even after touching down on the runway. Stalls, loss of directional control and/or insufficient rate of climb often result from improperly conducted go-arounds. From short final to after touchdown, the aeroplane is typically at a low airspeed/high angle of attack/low power/high drag/decelerating condition—almost exactly opposite the high power/low drag/accelerating condition necessary for an initial climb. So what are the go-around threat factors? What are the states and trends of each factor at various points in a go-around? How does each factor affect the others? How must you manage the go-around threat factors to go around safely? This is the normal condition in the last moments before touchdown. This is the phase of flight entered as soon as the pilot begins to make inputs to break off the landing and enter a climb. The initial go-around phase is usually depicted as just short of or over the runway threshold. In reality a pilot may begin a go-around at any point from final approach to after the aeroplane has touched down on the runway surface. This is the period during which the pilot is actively changing the aeroplane’s configuration—flap retraction, raising retractable landing gear, etc.—from its condition before beginning the go-around into that required for climb. The final phase of a go-around is a climbout that is indistinguishable from that which follows a normal take-off. A common go-around crash scenario is loss of directional control in the initial go-around phase. The directional change is usually the result of high forces from the propeller factor (‘P-factor’), gyroscopic forces from the spinning propeller and pitch attitude changes, and slipstream effects—combined, known as the ‘left-turning tendencies’. These forces are greatest at high power and high angles of attack—two go-around threat factors in their own right. Assuming a normal final approach, airspeed will be low—1.2 to 1.3 times the stalling speed in the chosen configuration. As the pilot transitions to initial go-around, the airspeed should remain about constant, but often decreases slightly as the aeroplane reverses its vertical direction of flight. As the go-around progresses through configuration change airspeed will accelerate and then stabilise on the climb speed. This progression is very important as it relates to other go-around threat factors. A slow speed means the aeroplane has reduced control authority to overcome left-turning tendencies. It means the angle of attack is high and may increase further as the aeroplane transitions into initial go-around. A low speed/high angle of attack condition usually results in a high drag state, possibly on ‘the back side of the power curve’. Conversely, if the pilot allows the aeroplane to accelerate excessively during initial go-around it will not climb expeditiously. Too high an airspeed also increases drag, negatively impacting the manoeuvre’s outcome further. Trim is very closely related to airspeed. It’s commonly stated that a stable aeroplane will seek the indicated airspeed for which it is trimmed. More correctly, it will trend toward a constant angle of attack, but given most aeroplanes have no angle-of-attack display we use indicated airspeed as a surrogate. On final approach the trim will be in a relatively nose-up position. The exact position is determined by many factors, including the aeroplane’s current weight and centre of gravity location. In most training aeroplanes the final approach trim setting is very near the normal takeoff trim position. As you enter the initial go-around the aeroplane will be trimmed for the final approach speed at near idle power. Power application forces more airflow over the empennage, so the trim ‘thinks’ the aeroplane is travelling faster (even as, in this phase, airspeed often decreases). To remedy this a stable aircraft will initially pitch up higher than is needed to slow to the trimmed speed. The aeroplane does not ‘know’ precisely what attitude is required, and it will tend to overshoot the optimal attitude. This drives airspeed downward and angle of attack higher at the most critical phase of a go-around. As the aeroplane transitions through configuration change, to remain in trimmed flight, the trim mechanism must be moved more nose-down, until reaching the normal climb phase setting. 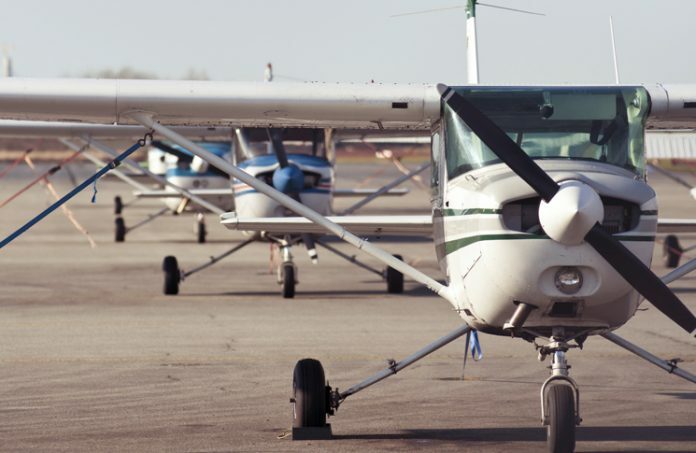 Even more important than the steady state of trim at any point during a go-around, it’s vital for pilots to understand the trim requirement in each phase. On final approach the aeroplane should be trimmed for a stable speed. In the initial go-around, for reasons we just discussed, the trim will be set up but the trim requirement will be to trim down for the correct speed. This introduces a paradox: the pilot must apply pressure forward on the controls and move the trim nose down in order to make the aeroplane climb correctly. As the aeroplane moves through configuration change it will accelerate. As long as the airspeed continues to increase, the trim will be set for a slower, previous speed. This means the pilot must progressively apply more forward control pressure and more nose-down trim as the aeroplane continues to accelerate—trim change is a process, not a single action, in a go-around. Once the airspeed is steady in climb, the trim may be set and remain in that position. Not only is proper control input require to manage angle of attack and left turning tendencies, but control authority is reduced much of the time because of low airspeed and low air flow. The transition from final approach to initial go-around is where control force changes are greatest. It’s also where it takes greater movement of the flight controls to manage the impact of those forces. In turn this means an increase in drag. As the aeroplane accelerates through configuration change and into the climb phase, control authority increases … just when the need for that control authority becomes less acute. Flap and (as appropriate) landing gear position on final approach, as well as angle of attack and control deflection at low airspeeds, create a high drag configuration. Beginning the initial go-around increases drag even higher, as forces require greater control deflection, high-drag flaps have not yet been fully retracted, and extended landing gear is still hanging in the wind. The biggest change that occurs in the configuration change is a reduction in drag. As the pilot ‘cleans up’ the aeroplane and speed decreases, angle of attack and control deflections also decrease, contributing to a much lower-drag climb phase. Angle of attack is defined as the angle between the chord line of the wing and the relative wind. A more easily visualised definition might be that angle of attack is the difference between the direction in which the aeroplane is flying and the direction in which it is pointed. On final approach the nose will be slightly up (while usually still below the horizon) compared to the steeper direction of flight—resulting in a fairly high angle of attack. During the change from ‘going down’ to ‘going up’ that begins in the initial go-around phase there is a much larger direction between the aeroplane’s attitude and its direction of flight. Let the pitch come up excessively by failing to adequately manage the trim and trim requirement, and the angle of attack may become critical. This is why so many go-around accidents involve a power-on stall. Through configuration change the angle of attack trend is toward lower angles, and once established in climb the angle of attack is well within the flying range. As a result of angle of attack trends, the stall margin varies significantly during a go-around. On final approach the aeroplane is usually 20 to 30 per cent above stall speed in 1G flight. This margin reduces significantly during the initial go-around phase, especially if the go-around is begun while the aeroplane is in the landing flare, or has touched down on the runway. As angle of attack decreases during configuration change, the stall margin increases, but beware: retracting flaps changes lift and the angle of attack; premature flap retraction may drive a wing right into a stall. The crashes that occur during failed go-around attempts—loss of directional control, aerodynamic stall, or failure to climb resulting in a collision with obstacles—are all the result of failure to anticipate and properly manage the go-around threat factors. Flying the go-around is one of the best cases for learning from an instructor experienced in the model of aeroplane you’re flying. There are many characteristics of individual aeroplanes that change the go-around technique. 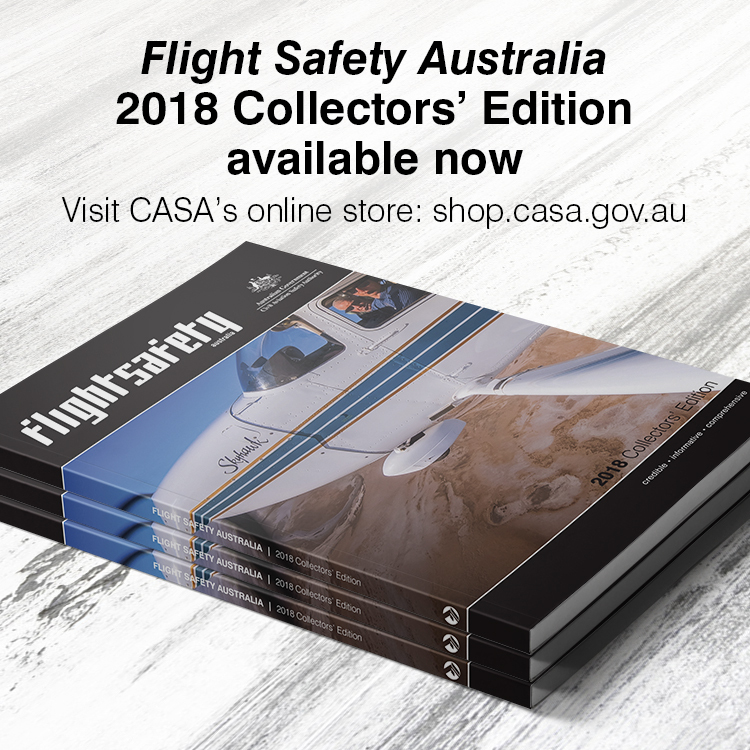 For example, aeroplanes with large flap extensions, like the Cessna 172 have significantly more drag at full flaps than identical aeroplanes with less flap deflection. There’s a good reason, for example, that Cessna changed the 172’s original 40 degree maximum setting to a much more benign 30 degree in later models. The A36 Bonanzas I normally fly have wide centre-of-gravity limits; solo in an A36 if I trim for final approach the trim setting will be around nine degrees UP when I touch down. But fill the aft cabin with passengers and that same aeroplane will land at about three to six degrees UP. Add an aftermarket turbocharging system, which includes about 32 kg of equipment forward of the firewall, and the landing trim position is a whopping 19 degrees to 21 degrees nose UP. All this in an aeroplane with a normal takeoff trim position of three to six degrees UP… suggesting a very dynamic trim change to overcome during the initial phase of a go-around. To command the go-around you need to know how the aeroplane you’re flying handles in every phase from a normal approach through the transition from descent to climb. This calls for intensive type-specific training in the manoeuvre, then regular practice of that transition so you can execute a go-around without having to think about it. You need to know that a go-around begins by adding power, and that adding power at a slow speed and high angle of attack means you need more rudder for directional control, and will soon need forward control pressure to permit the nose to come up to a normal climb attitude, but no more. As you retract flaps (and perhaps landing gear) and the aeroplane accelerates, your control inputs will continue to change, predictably. Know these things and act on them, and you are in command of the aircraft. Fail to anticipate and act upon them and you are along for the ride—you have lost command, the first step in loss of control.